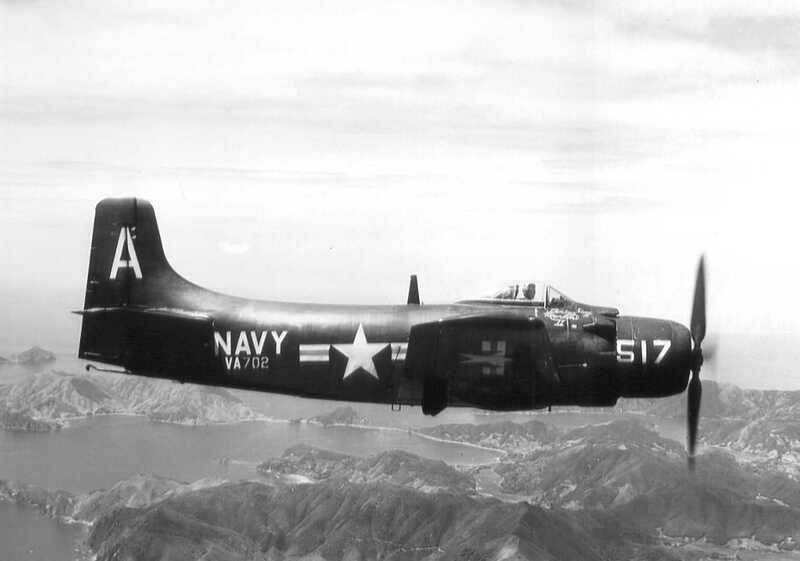 On March 17, 1949, an AD-1 Skyraider, (Bu. No. 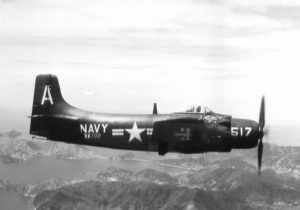 09349), took off from the Quonset Point Naval Air Station for a familiarization flight. About an hour later the aircraft returned, and as the pilot was making his final approach, the landing gear wheels struck the top of the seawall at the end of the runway tearing loose the right side landing gear. The impact caused the aircraft to bounce upwards, and the pilot applied full throttle and remained airborne. The pilot then circled the area for an hour trying to raise the landing gear so as to make an emergency belly landing, but was unable to do so. With fuel running low, he made a one-wheel landing. The aircraft suffered significant damage, but the pilot was not injured.